On Tuesday, February 22nd, the Community Resource Center Deputy Executive Director, Janet Rolon and an immigration attorney held a three-hour training session preparing local undocumented immigrants on how to deal with immigration raids. At the February 21st Village of Larchmont Board of Trustees meeting, Elizabeth Bradley from Friends of the Larchmont Playhouse requested help to buy and preserve the movie house on Palmer Avenue. A buyer is interested in collaborating with the non-profit, but they want the municipality to serve as guarantor or to supply significant funds toward the purchase. Ms. Bradley also asked for a referendum to bring the question directly to the voters, but was told that New York law would not permit that. She later told The Local Live, “we are double-checking state law to make sure there is no government way we can bring this issue to the attention of our neighbors”. The Hunger Task Force held a Mobile Food Pantry on Saturday, February 25th at Columbus Park. The event helped distribute food to families in need. Malcolm Frouman, the president of the Hunger Task Force stated that the organization is short of volunteers for these type of events. If you’re interested in helping out, check out their website, www.lmfoodpantry.org for more information. On March, Mamaroneck High School graduate and producer of La La Land, Fred Berger will be speaking at his alma mater as part of the Larchmont Mamaroneck Continuing Center’s Notable Neighbors series. The movie was nominated for a record-tying nominations at this year’s Oscars, including best picture, best director, best actor and best actress. During the discussion, he will talk to his former teacher about growing up in the community and the making of the movie. Tickets are $40 and are available to purchase at http://www.LMCCE.org. In our Round Table discussion, Maura Carlin and Mike Witsch spoke with Paula Krenkel, Pet Rescue Vice President and Barbara Gebala, Pet Rescue Board Member about some of the adorable dogs and puppies available for adoption and also to talk about the upcoming Pawdi Gras Masquerade Ball, which celebrates the 35th anniversary of Pet Rescue. The event will be held Friday, March 3rd at The Fountainhead in New Rochelle. For more information, go to gala@ny-petrescue.org. In our Lifestyle segment, Alexandra Garcia checked out L Train Cycling Studio in Larchmont and took part in one of the sessions. In The Spotlight this week, Jack Wells went to Direct Kicks in Mamaroneck. The store sells Air Jordans and Yeezys, as well as other brands. Our LMC Varsity Sports segments gives highlights of the Mamaroneck-Scarsdale playoff game that was held on Saturday, February 18th. The game was close with Scarsdale winning by a score of 61-58. And remember, Monday, February 28th is the last day for the Sedona Taphouse Steak Night for Charity to help support LMCTV. One dollar from every steak sold will go to LMCTV. Last week, our community was hit with intense weather which included snow, ice, and high winds. The National Weather Service reported that last Thursday’s Nor’easter gave us 11.5 inches of snow. Another wintry mix on Sunday delivered freezing rain and sleet, which forced the Hearts and Homes for Refugees March to be canceled. A new march has been rescheduled and we will provide the new date as soon as it is announced. Due to the high winds on Monday, Mamaroneck Avenue School was forced to close early because of a power outage from downed power lines. Con Edison said there twelve power outages that affected more than 400 customers. According to lohud.com, the wind gusts in our area reached fifty-four miles an hour. The body of a fifteen-year-old Mamaroneck teen was recovered last week in New Hampshire. The Mamaroneck Daily Voice reported that Arthur Remy, his father and another man were snowmobiling back from a fishing derby when it broke the surface and fell in. The teenager and the other man died. Remy’s father survived and was treated for hypothermia. A mass honoring Arthur Remy was held on February 17th at Saint Mary’s Church in Milford, Connecticut. The family has set up a trust in Arthur’s memory and in lieu of flowers, checks can be made out to the Arthur Remy Memorial Project. A twenty-six-year-old Mamaroneck man was found dead in his cell at the Westchester County Jail in Valhalla one day after he was arrested by Harrison police. Westchester County Corrections officials are investigating the apparent suicide of Alex Fusco, was being held on charges of petty larceny and drug possession. The last suicide reported at the Westchester County Jail was thirteen years ago. Fusco was a 2008 graduate of Mamaroneck High School and had a prior criminal record according to lohud.com. Which is the best technology to use for parking on Mamaroneck Avenue-single space meters or multi-space meters? The Village of Mamaroneck Ad Hoc Parking Committee has been studying several technology options since 2015 to find the best solution for both residents and commuters along Mamaroneck Avenue. On February 13th, Maria DeRose, the Parking Committee Chairperson presented a list of recommendations to the Board of Trustees. The committee chose the single space meters instead of the multi-space meters. She explained that there are two parking options. The first one is paying with a credit card and the other is using a smart card. The Board of Trustees will have the final word. If you would like to read the parking recommendations from the committee, contact Village Manager Richard Slingerland at r-slingerland@vomny.org. As of this broadcast, the future of the Sand Box Theater is undetermined, due to the violation of the current zoning law. The Village of Mamaroneck Board of Trustees redacted a law that will change zoning code to allow the theater to continue its operation. At the public hearing, about twenty residents asked the board to pass this law. The arguments including increases of traffic and noise in the area as well as the lack of parking. Residents claimed that they did show up at the first public hearing and that they were taken by surprise. They came prepared to the second meeting and provided a detailed chronology of the theater’s permit violations. The Board of Trustees did not pass the law. Trustee Leon Potok drafted a new law that will be discussed at another public hearing within the next two weeks. US Immigration and Customs Enforcement agents have put in motion raids that target undocumented immigrants across the nation. Because of the raids, the Community Resource Center will be hosting a free forum on Tuesday, February 21st from 6:00 to 7:00 p.m. The HRC encourages anyone who might be impacted to attend to get the most accurate information available. On Thursday, February 16th, the filming of a new movie by Likely Story and Netflix called “The Land of Steady Habits” took place on East Boston Post Road. Crew members were seen taking film equipment off trucks inside the Derecktors’ shipyard property. Filming was to continue until 9:00 p.m.
Sedona Taphouse presented LMCTV with a check for $788, one dollar for each steak that was sold in the month of January, as part of their “Steakout for Charity” campaign. And thanks to community support, the restaurant has benevolently extended LMCTV’s run for the month of February. For the next two Monday’s, Sedona Taphouse will donate one dollar for the sale of every $6 flat iron steak to help benefit LMCTV. We are thankful for this generous extension and to our community for your support. We look forward to dining with you and enjoying more steaks to support us and Sedona Taphouse’s future beneficiaries. In our Round Table discussion, Mike Witsch spoke with Shannon Powell and Linda Ryan, founders of Indivisible Westchester and Chloe Malushaga, Founder of Indivisible Westchester at Mamaroneck High School about the program, what it stands for and how it benefits our community. In our LMCTV Varsity Sports Play of the Week, the Mamaroneck Boys Basketball team hosted Roosevelt High School for their season finale which held playoff implications for both teams. The Tigers, who honored outgoing seniors at the start of the game, was looking to break a six-game losing streak. Roosevelt, on the other hand, carried an eight-game winning streak to the competition. The teams were tied at the beginning of the second half. The Sharks took the lead but Jared Bader and Ethan Renner combined to give the Tigers a four-point lead. The Tigers then went on a ten-point rampage to win the game. Renner finished the game with eighteen points while Bader scored twenty-two. The Tigers will be seeded fourteenth for the Section 1 Class Double A Playoffs. They faced Scarsdale on Saturday, February 18th, but lost the game by the score of 61-58. In the local sports news, Rye Neck Panthers senior Luis Galeano held his college commitment ceremony at Rye Neck High School on Thursday, February 16th, during which he officially signed on to play men’s soccer at SUNY-Albany. Galeano played midfield for the Panthers for three years and helped them in winning the Class B Sectional Championship in his sophomore year. The team reached the finals two more times during his tenure with the team. Galeano was surrounded by family, friends, teammates, coaches and teachers for the special occasion. With St. Patrick’s Day coming up next month, the Sound Shore St. Patrick’s Day Parade Committee held its annual “Shamrocks and Hearts Benefit Dinner”. The St. Patrick’s Day Parade will be held Sunday, March 19th from 1:30 to 4:00 p.m. Michael Murphy filed this report about both the dinner and the parade. This week’s In The Spotlight features the School of Rock in Mamaroneck. Sheyla Navarro spoke with students and teachers about the school. Our Pet of the Week features two pets, Nick, a lovable 4-month-old Lab who wants to play. He is incredibly sweet with humans and other dogs. If you’re looking for an affectionate and energetic puppy, then Nick is the right dog for you. But if you’d prefer a feline friend, Charlie might be perfect for you. He is a handsome 2-year-old male Tabby and white cat. He is great with other cats and should go to a home with another young cat as he’s super playful. For more information on both Nick and Charlie, as well as other adorable pets, go to http://www.ny-petrescue.org. If you like our show and want to help keep us on the air, please go to our website, www.lmctv.org and click on the DONATE button. We really appreciate any donations. All over the country, thousands of United States residents are being affected by Donald Trump’s immigration ban. New Rochelle resident, Mohammed Alhomsi told The Journal News that he was expecting his wife’s arrival so they could remarry and celebrate their reunion and brand new home. But now their plans are on hold. The executive order that Trump signed would prevent citizens from Iraq, Syria, Sudan, Libya, Somalia and Yemen from entering the US for ninety days. The order was met with protests and the State Department of Homeland Security have honored a federal court decision in the state of Washington that limits the travel ban. And as of February 9th, a US Appeals Court refused to reinstate Trump’s ban on travelers from the seven Muslim majority nations. The New York Times said an appeal to the Supreme Court is likely. On Saturday, February 4th, an early morning fire damaged an abandoned Mamaroneck home. Approximately fifty firefighters fought the flames for an hour to get it under control. Thankfully, no injuries were reported. Fire Chief Craig Casterella told LoHud,that the single family home at 947 Shore Acres Drive was fully engulfed, that no one had been living there for years, and some of the utilities had been shut off. The cause of the fire is under investigation. For a special Valentine’s Day treat, check out “Amor Hecho Pedazos” premiering at 7:00 p.m. at the Community Resource Center at 174 Center Avenue in Mamaroneck. The “Legonovela”, or soap opera with Legos, is in Spanish with English subtitles. It has everything from drama to passion to evil twins. The production and writing of the Legonovela was a labor of love for Dena Schumacher. The project took more than eighteen months and one hundred hours of stop animation. She was inspired by the lack of Spanish language content in our community. In our Round Table discussion, Maura Carlin spoke with Jmel Wilson, Hearts and Homes for Refugees of Larchmont- Mamaroneck Leader and Elaine Wanderer, Hearts and Homes for Refugees of Larchmont- Mamaroneck Member about the immigration and refugee crisis that is affecting our country and community. In the LMC Varsity Sports Play of the Week, the Mamaroneck Girls Basketball Team ensured a chance in the playoffs with a big win over East Ramapo. Following a slow start, the Tigers got an instant spark at the start of the second. This week, The Local Live visited Madison Kitchen in Larchmont and spoke with celebrity Chef Nick Di Bona, who won the Food Network’s Chopped television show in 2013. He opened his restaurant to us and informed us of what he is preparing for Valentine’s Day. For Our Pet of the Week segment, we actually have two adorable pets. Myles is a five-year-old Tuxedo cat who is sweet and friendly but is also sometimes shy. He loves his friend Pansy. He is looking to be adopted with her or alone. Then there’s Red, an adult dog who loves to play with his human friends. He will alert you when there’s someone at the door and he would like a quiet space for a home. For more information on both Myles and Red and to see more adorable pets, go to ny-petrescue.org. Local residents and members of a new network, Westchester Social Justice Community, got together for the first “Justice Monday” in response to Donald Trump’s executive orders. They intend to rally every Monday at noon at the intersection of Main Street and Mamaroneck Avenue in White Plains to support of Obamacare. Participants helped to collect signatures on over one hundred postcards that will be sent to state senators asking them to support the New York Health Act, a single-player system that would expand the state’s Medicare program to cover all New Yorkers. Congresswoman Nita Lowey sent a representative in her honor. The next rally is scheduled for February 6th. A rally in Sleepy Hollow gathered about 1000 people in protest of President Trump’s executive order that temporarily banned traveling from seven mostly Muslim countries. The peaceful protest, which was held this past Sunday, including public officials, faith leaders, residents and organizations like the Larchmont and Mamaroneck Community Resource Center. They voiced their disapproval of the executive orders on the border patrol and travel ban. Gail Vidales, Co-Executive Director of the Community Resource Center, reminded immigrant community members to beware of deceitful attorneys or notaries who are seizing the opportunity to take advantage of them. She also advised everyone to reach out to your local community center for trusted information and all the latest news about immigration. She added, “always get a licensed attorney and get a second legal opinion before making any major decisions”. The dog sales laws in the Village of Mamaroneck went into action due to accusations of animal cruelty against the owner of Best Breed Puppies and Kittens, which was located on Mamaroneck Avenue. Richard Doyle, the owner of the puppy store, is now banned from selling pets in New York. He will also have to pay $20,000 in fees and penalties as part of the settlement with the office of State Attorney Eric Schneiderman. In the press release from the Attorney General’s investigation stated that Doyle was performing surgeries on animals in the back of the store and ordering members of his staff to give the animals medications or intravenous fluids to mask underlying diseases and infections. The investigation, which included a store in Mohegan Lake, also found a falsification of names and licenses from store suppliers to simulate that the puppies were coming from reputable sources. After working as the VIllage of Mamaroneck Manager for the past twelve years, RIchard Slingerland is leaving the position to become the new Village Administrator in Tarrytown, to replace the current administrator, Mike Blau, who is retiring after seventeen years. The position is not new for Slingerland, who had previously served as Tarrytown’s VIllage Administrator from 1999 to 2002. He told Lohud that he is leaving Mamaroneck in a strong position for the future, maintaining a balanced budget, and progressing the flooding study to where it is today. He hopes the community sees that forward to completion. The Harlem Wizards, a basketball show team performed at Rye Neck High School on Friday, February 3rd. The team visits schools in the tri-state area to perform and to play games against students and teachers. 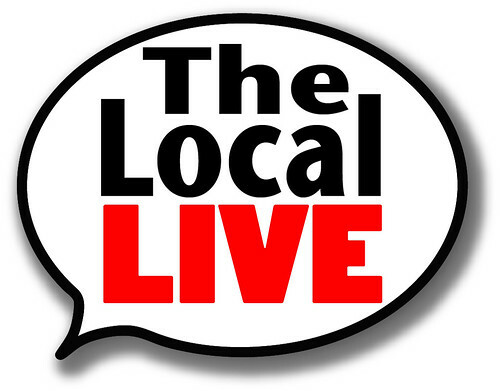 The Local Live would like to express our gratitude to all our viewers, our LMCTV friends, our Live Live volunteers, our supporters, and our friends and family who came last Friday to our Three-Year Anniversary Party. A big “thank you” to our local businesses who donated gift certificates for our raffle. Thank you, 18/8 Men’s Salon, Estancia Buenos Aires, Madison Kitchen, Chocolations, Push Fitness and The Bott Shoppe. Thank you as well to the School of Rock House Band for the live music. A big shout out to Scotty Kazzan, also known as “Balloon Guy” for sharing his art at the party and finally, we cannot forget to mention Molly’s Spillane for hosting around 160 people on the special night. In our Round Table Discussion, Mike Witsch, spoke with Chirag Shag,a realtor with Gateway Realty about how to “stage” your house when you’re ready to sell. In The Spotlight features The Bott Shoppe. Local Live reporter, Suzanne Rothberg, spoke with owner, Laura Bott about what’s new in the store. The film “Larchmont” was screened last week to a packed house at the Emelin Theatre. The film was produced by Mamaroneck High School graduates Ben Zuckert and Will Seife. Local Live reporter, Mike WItsch was on hand to file a report regarding the screening and the film. Our Pet of the Week is Potter, an adorable one-year-old Jack Russell mix who weighs about ten pounds. He loves to be around people, going for walks and cuddling. He is a loving lap dog. For more information on how to adopt him or other adorable pets, go to www.ny-petrescue.org.